These personalized and holiday ornaments will add just the right amount of sparkle to your celebration! 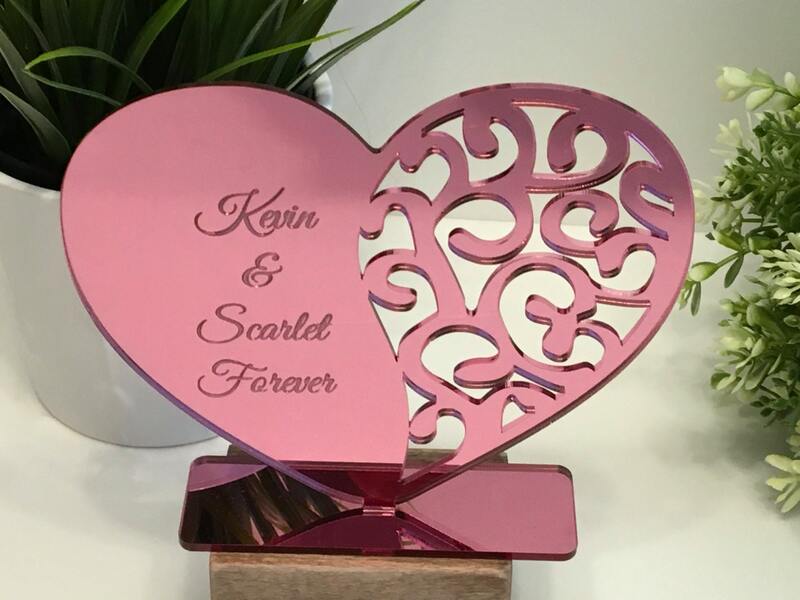 Perfect for Valentine's decor or gift! 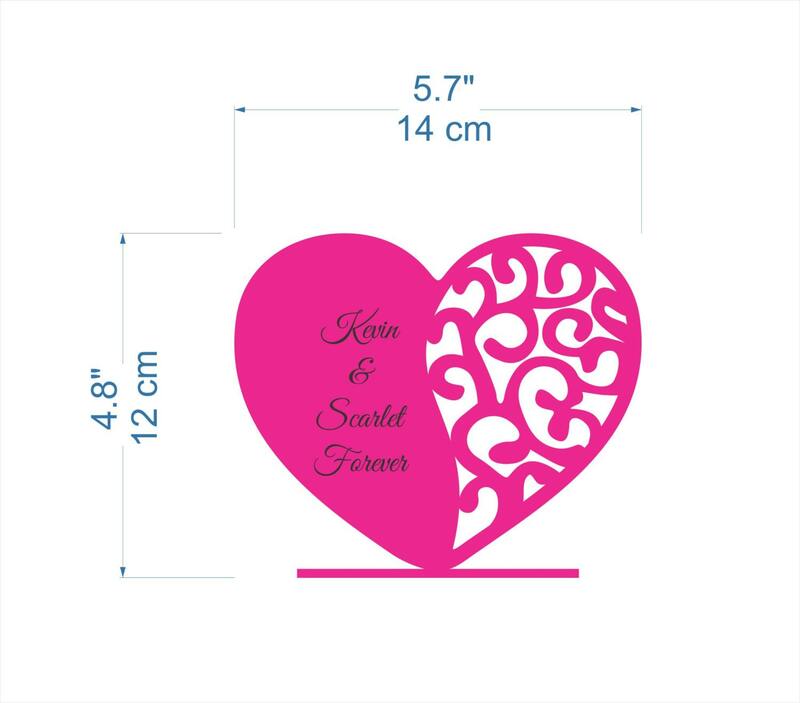 Sweet freestanding heart decoration or ornament for your home. 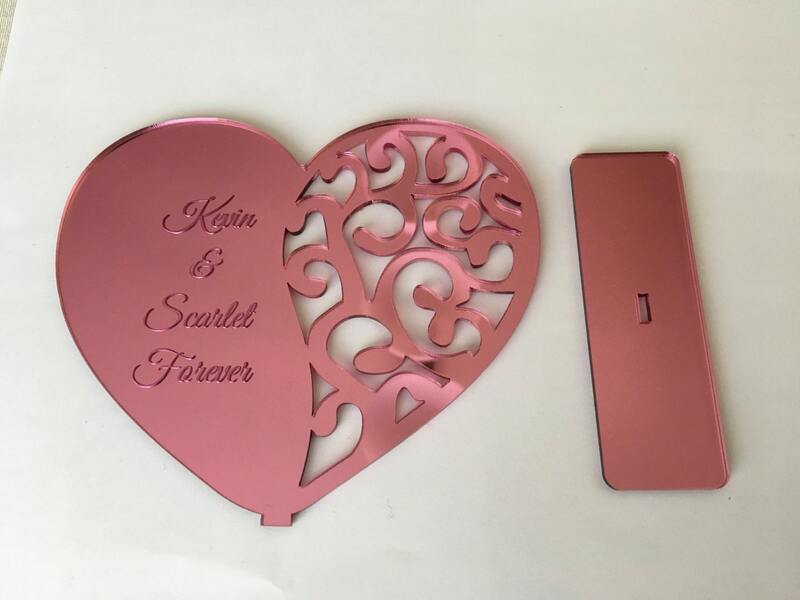 All ornaments are custom made from coloured acrylic sheet. 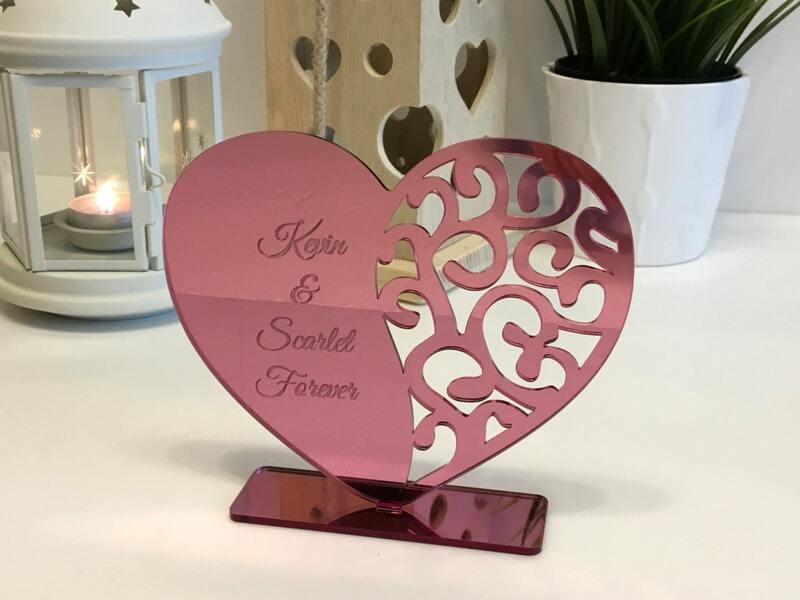 Acrylic ornaments come in a variety of beautiful colours, including red, green, blue, white, silver mirror, gold mirror, mirror pink. We can produce this ornaments in 1-3 business days after you order.